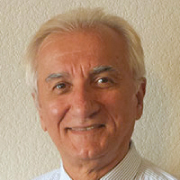 George S. Dulikravich is a tenured Full Professor in the Department of Mechanical and Materials Engineering, College of Engineering and Computing, Florida International University (FIU). He has a diverse educational background in mechanical and aerospace engineering and applied mathematics including private (Ph.D.-Cornell’79), public (M.Sc.-Minnesota’75) and international (Dipl.Ing.-Belgrade’73) schooling, three years of visiting research and teaching experience both domestic (NASA) and international (DFVLR), thirty-six years of teaching and research experience at four universities (UT-Austin, Penn State, UT-Arlington, FIU). He held positions of a Graduate Program Director (UTA), Founder and Institute Director (UTA), Founder and Lab Director (FIU), and Department Chair (FIU) for six years. His research expertise and interests are computational, analytical, and highly multi-disciplinary spanning the fields of aerospace, mechanical, industrial, materials, biomedical and chemical engineering. Some of the research topics include: the development of a variety of inverse design algorithms; multi-objective hybrid constrained evolutionary design optimization algorithms; acceleration of iterative algorithms; turbomachinery aero-thermodynamics and heat transfer; conjugate heat transfer analysis; optimized topology of branching 3D micro-channels for high heat flux electronics and gas turbine blade cooling; brain cooling of stroked patients; optimized cooling of human hearts for extended transportation; optimally controlled solidification/melting using electric, magnetic and thermal fields; multi-objective optimization and inverse design of chemical compositions of nickel superalloys, titanium alloys, aluminum alloys, bulk metallic glasses and high strength-high temperature magnetic alloys; thermo-elasticity analysis and inverse problems; design optimization of kinetic energy projectiles for maximum penetration; inverse design and optimization of transonic and hypersonic flight vehicle shapes; aerodynamic shape design of multi-element winglets; inverse determination of spatially varying diffusion coefficients; reduced order modeling for multiphase flows; and constrained design optimization of chemical formulas for multi-functional molecules. This multi-disciplinary research has resulted in over 500 technical publications, including 16 proceedings volumes and 16 book chapters, with emphasis on multi-disciplinary analysis, inverse design and optimization. His research has been funded by NSF, NASA, AFOSR, ARO, ONR, DoD, DoE, NETL, ALCOA, LLNL, Lockheed Martin Skunk Works, GE, Medtronics, Millipore, CRDF, HPTi, Bell Helicopters, NAVAIR, Touchstone Research Laboratories, TKelvin, DARPA, CNPq and ORNL. Professor Dulikravich is the founder and Editor-in-Chief of the international journal on Inverse Problems in Science and Engineering (founded in 1994) and an Associate Editor of eleven other professional journals. He is also the founder, chairman and editor of the sequence of International Conferences on Inverse Design Concepts and Optimization in Engineering Sciences (ICIDES) and a co-founder of Inverse Problems, Design and Optimization (IPDO) sequence of international symposia. He co-organized over 160 technical meetings, supervised and mentored 18 PhD and 34 MSc students, 26 visiting scientists and postdoctoral fellows, and has presented 29 plenary, keynote and invited lectures at national and international meetings. Abdoli, A., Dulikravich, G. S., Bajaj, C., Stowe, D. F. and Jahania, M. S. (2015) “Human Heart Preservation Analysis Using Convective Cooling”, International Journal of Numerical Methods for Heat and Fluid Flow, Vol. 25, Issue 6. Dulikravich, G. S. and Egorov, I. N. (2012) “Inverse Design of Alloys’ Chemistry for Specified Thermo-Mechanical Properties by Using Multi-Objective Optimization”, Chapter 8 in Computational Methods for Applied Inverse Problems (eds: Wang, Y. F., Yagola, A. G. and Yang, C. C.), Inverse and Ill-Posed Problems Series 56, Walter De Gruyter and Higher Education Press, P. R. China, ISBN: 978-3-11-025905-6. Colaço, J. M. and Dulikravich, G. S. (2011) “A Survey of Basic Deterministic, Heuristic and Hybrid Methods for Single-Objective Optimization and Response Surface Generation”, Chapter 10 in Thermal Measurements and Inverse Techniques, (eds: Orlande, H. R. B., Fudym, O., Maillet, D. and Cotta, R.), Taylor & Francis, pp. 355-405. Martin, T. J. and Dulikravich, G. S. (2001) “Aero-Thermo-Elastic Concurrent Design Optimization of Internally Cooled Turbine Blades”, Chapter 5 in Coupled Field Problems, Series on Advances in Boundary Elements (eds: Kassab, A. J. and Aliabadi, M. H.), WIT Press, Boston, MA, pp. 137-184. Fujii, K. and Dulikravich, G. S. (eds) (1999): Recent Development of Aerodynamic Design Methodologies – Inverse Design and Optimization, Vieweg Series on Notes on Numerical Fluid Mechanics, Vol. 68, Springer. (ISBN: 978-3-322-89954-5). Dulikravich, G. S. (1999) “Electro-Magneto-Hydrodynamics and Solidification,” Chapter no. 9 in Advances in Flow and Rheology of Non-Newtonian Fluids, Part B (eds: D. A. Siginer, D. De Kee and R. P. Chhabra), Rheology Series, 8, Elsevier Publishers, pp. 677-716.